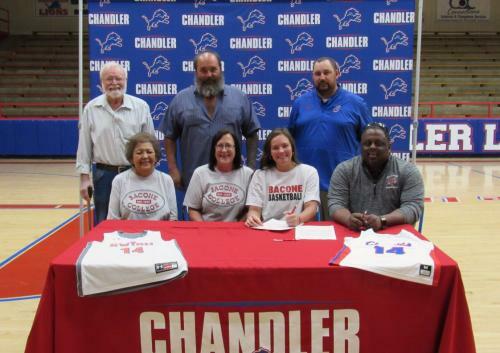 Senior Lauren Masquat signed a letter of intent to continue her basketball career at Bacone College. Bacone College is a private four-year liberal arts college in Muskogee, Oklahoma. Masquat is pictured with her family, Lions head coach Rodney Treat and Bacone women’s basketball coach Juan Davis.